DIY decor and ideas are very popular right now in the wedding circuit. Adding your personal flare and doing it for little cost? What’s not to love? If you’re looking for creative, fun, inexpensive wedding ideas for your ceremony, you’re in luck! Buying a package? Get 10% off and free shipping with our sale code “sale10” ! Mason jars serve multiple purposes for decorations, lighting, centerpieces, etc. Luckily, mason jar decor is easy and looks amazing! Who knew mason jars could be such a cute wedding decoration? Our recommendation? Use mason jars as lighting or centerpieces, or both! Place tea candles inside a mason jar, light them and you have dim lighting that looks like rustic wedding decor! If you want to use them as your centerpiece, tie a small rope around the top, or surround the base of the mason jar with flowers. Include signs for your wedding! Your guests will need some direction with the happenings of your wedding. Do you have good handwriting? If not, ask a friend who does to make signs for different parts of your ceremony. Multiple chalkboard signs will allow guests to know what is happening and also make for great photos of the ceremony. Write your wedding hashtag, show guests where the photobooth is, let them know what time dinner is, etc. Chalkboard signs are a quick and easy DIY project that you will be glad to have at your wedding ceremony! 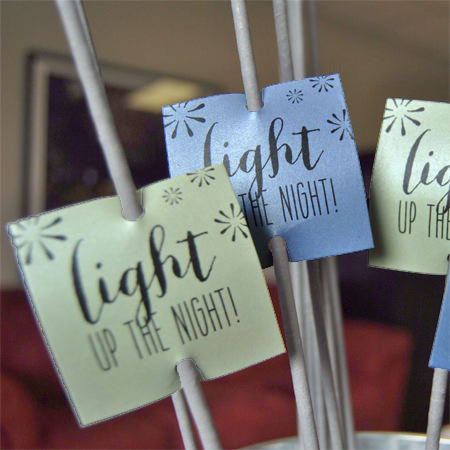 If your wedding is in the evening or at dusk, what better way to decorate and light things up than homemade paper luminaries? All you’ll need is some paint, paper bags and battery powered candles. (We don’t suggest using real candles..paper + real fire = potential disaster..) Paint whatever you want on the bags! You could use them to light the aisle, reserve seats for guests at tables, etc. The possibilities are endless, and it takes no time to make! Grab your friends and get painting! Provide your guests with a love story. Your love story! Show your guests through photos and captions how you came to this day where you say “I do”! People love photo books and it will be a great piece to keep at the front of your ceremony. The best part? You can keep it when the ceremony is over! Who wouldn’t love a photo book of how their love came to be? It’s perfect! We hope these ideas will help you plan your wedding ceremony! Time to gather your friends and get to crafting ideas! This is the most exciting time of your life, enjoy every minute of it!